Black in Latin America is the third of a trilogy that began in 1999 with the broadcast of Professor Henry Louis Gates’ first series for public television, Wonders of the African World, an exploration of the relationship between Africa and the New World, a story he continued in 2004 with America Beyond the Color Line, a report on the lives of modern-day African Americans. Black In Latin America, premiering nationally Tuesdays; April 19, 26 and May 3, 10, 2011 at 8 p.m. (ET) on PBS, examines how Africa and Europe came together to create the rich cultures of Latin America and the Caribbean. In the Dominican Republic, Professor Gates explores how race has been socially constructed in a society whose people reflect centuries of inter-marriage, and how the country’s troubled history with Haiti informs notions about racial classification. In Haiti, Professor Gates tells the story of the birth of the first-ever black republic, and finds out how the slaves’s hard fought liberation over Napoleon Bonaparte’s French Empire became a double-edged sword. Oh, it was fundamental. Like many people - remember, I was raised in the '50s and '60s. I'm 60 years old. And like many people my age, I thought that slavery, race, the African experience in the New World, really was about us, about our ancestors here in the Continental United States. 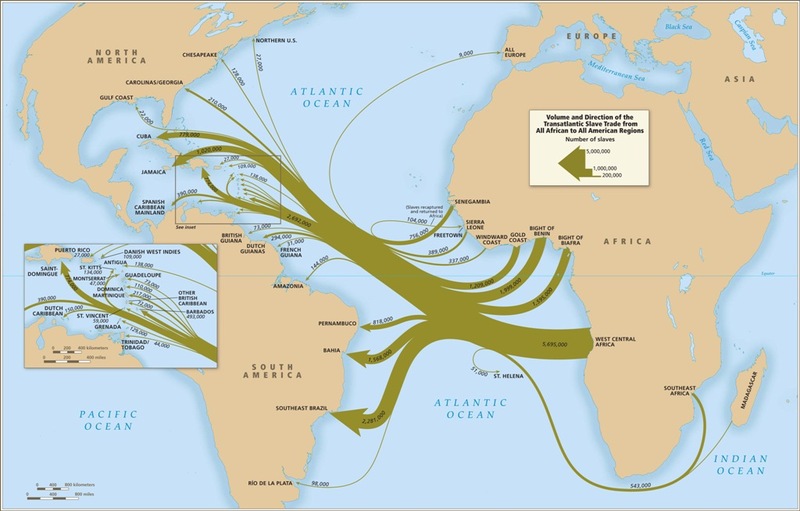 But the most astonishing fact in this whole series, and the most astonishing fact which I think that the Transatlantic Slave Trade database has produced is the following: Between 1502 and 1867, 11.2 million Africans survived the Middle Passage and landed in the New World. And of that 11.2 million, as you said, only 450,000 came to the United States. All the rest, Neal, went to places, as it were, south of Miami, south of our borders. The real African-American experience, as it were, just in terms of numbers alone, unfolded in the Caribbean and throughout Latin America. And so I wanted to do a series bringing this lost or hidden black world to light, both to Americans and to many of the black descendents, the Afro descendents, throughout Latin America themselves." 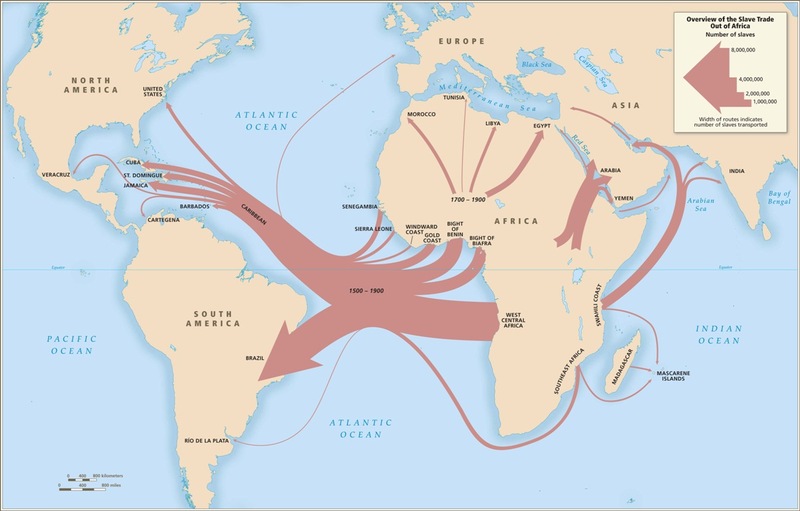 The Trans-Atlantic Slave Trade Database has information on almost 35,000 slaving voyages that forcibly embarked over 10 million Africans for transport to the Americas between the sixteenth and nineteenth centuries. It offers researchers, students and the general public a chance to rediscover the reality of one of the largest forced movements of peoples in world history. an expanded and continually growing form. The Voyages Database contains records of nearly 35,000 separate slaving voyages between 1514 and 1866, gleaned from original documents and historical publications located in archives, libraries, and other institutions throughout the world. Data from these historical records were collected over many decades and will continue to be updated as new documents are discovered. Individuals will be able to contribute their own research to this collaborative resource. 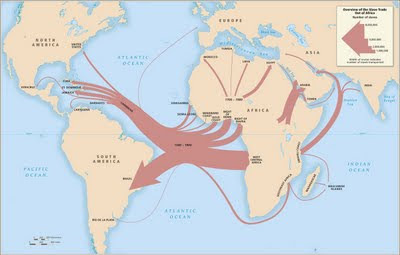 Each record in the Voyages Database offers information on a single slaving voyage; some of the details include the country of origin, the individual(s) who sponsored it, the voyage itself (its itinerary, dates of travel, and outcome), captains and crew members, slaves transported, and the sources providing this voyage information.